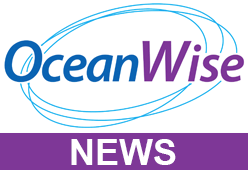 OceanWise’s latest product launch enhances its commitment to continually support the development of environmental data monitoring services in Ports and Harbours. Port-Log* Connect delivers reliable data direct from source to system. It resolves current limitations such as requiring a direct line of site between the tide gauge and survey vessel and the increasingly unreliable, over saturated, UHF transmission frequencies. OceanWise’s Port-Log Connect, coupled with Portable Tide Gauges use GPRS, providing a cost-effective solution which eliminates the shortcomings and ensures bi-directional, reliable, accessible telemetry. How are we doing it? We connect a tide sensor to an ip.buffer running special scripts and our newly launched Port-Log Connect. The system is shipped in a Peli-Case for ease of installation and can be powered either by solar panels or using a mains charger. The internal batteries enable it to run for 5-10 days, depending on the sampling rate. OceanWise has been a pioneer of the concept of a port, when considered more widely, as being a maritime information infrastructure embracing geospatial, environmental and operational data sources. Come and meet the OceanWise team at Oceanology International 2018 on stand P161 at London, Excel from 13-15 March.